I have to admit that the start of this year has been less than happy. After a wonderful New Year’s Eve with my husband I woke up January 1st to severe back pain and migraine which then morphed into flu-like combination keeping me in bed for a good part of a week. At first I was frustrated (ok I was frustrated the entire time), nevertheless; at some point I just had to give-in and take care of myself. I address the issue of self-care regularly through my blogs and keynote presentations, however; the implementation of such care can be more challenging than expected when you have to rely on others for assistance. It’s one thing to take care of myself, it’s something completely unnatural to rely on others to help me with things that I can usually do all on my own. Ironically my peculiar experience of reliance this past week is comparable to the day-to-day experience of those I have cared for. I admit that at times I had tried to put myself in their shoes, however; imagining what it must be like and having to actually rely on others are 2 completely different proficiencies. 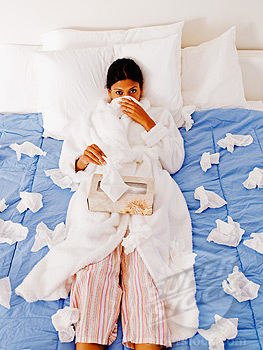 I HATE BEING SICK (ok I already knew this, however; it just confirmed my conviction). I’m grateful to whoever invented Vicks Vapor rub. I’m blessed to have people in my life who will help me (even go out of their way for me) even when I am less than congenial (“less then congenial” would be an understatement). I need practice asking for help every day, even with the small stuff. When I experience the first sign of sickness I need to take a step back and do things to take care of myself instead of trying to “push-through” the sickness to keep up with my usual chaotic pace. When I start feeling better I need to take it slow and not try to jump back into my regular pace (even though it makes me crazy not to) in order to assist in my recovery to full health. Most importantly I have learned to appreciate my health when I have it and be a little more empathetic to those around me when they are not feeling well. Wishing you all good health this New Year. This entry was posted in aging, caregiving, health care, healthy living and tagged aging, asking for help, caregiving, flu, health care, healthy living, New Years, self-care, sickness. Bookmark the permalink. Dear Sue, very sorry to hear of your illness and hope for total recovery. It makes us all realize how much we take our health for granted. But as we interact with the elderly every day, it also reminds us as we age and everything we do becomes a challenge, that when a senior isn’t up for something, remember how you felt when ill, you were not up for some things even when a little sick, some seniors never feel 100%,yet they keep trying. So bottom line, as Sue says, help seniors be active when you can but remember what they face, in fact put yourself in their shoes whenever you can. The world will look and feel different for sure.